Michelle Quinn and Shen Hua (VOA News) SAN FRANCISCO/HONG KONG — The trade dispute between the U.S. and China is disrupting Silicon Valley.What had been a steady flow of Chinese money into tech firms appears to be slowing. Investors are concerned about the “headline risk” of doing business with Chinese investors. 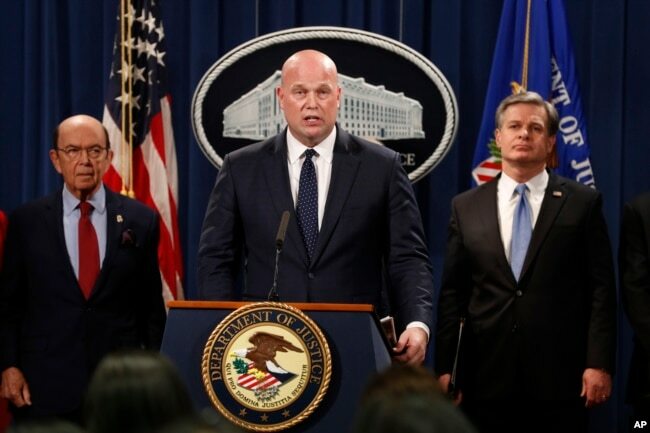 Acting Attorney General Matt Whitaker, center, with Commerce Secretary Wilbur Ross, left, and FBI Director Christopher Wray speak, Jan. 28, 2019, at the Justice Department in Washington during an announcement of an indictment on violations including bank and wire fraud of Chinese telecommunications companies including Huawei. 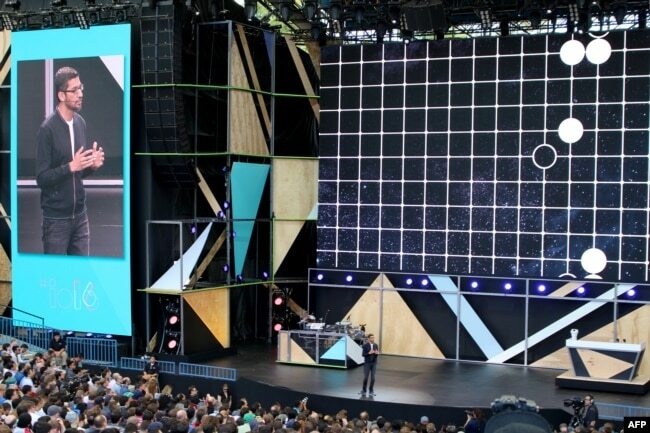 FILE – Google chief executive Sundar Pichai outlines a future rich with artificial intelligence at the Internet firm’s annual developers gathering in the Silicon Valley city of Mountain View, Calif., May 18, 2016.